We are extremely pleased to introduce our new Tecopia Essenetia External Clay Mélange. This is a supreme blend of the finest external use clays in North America. After decades of research, we've found a way to create a hydrated clay that can completely replace soaps for bath and shower use. Take the Go Paleo challenge! Our synergetic blend of clay both cleanses and nourishes both skin and hair. Not only does using clay for daily care eliminate chronic and dangerous exposure to toxic cosmetics, but clay actually does a far superior job in both cleansing pores and enducing a healthy deep detox response in the soft tissues. The problem prior to our blend? Only those who ate extremely clean and healthy diets were able to use clays daily on the face and skin. Clay action is so powerful that it often took three or four days for the body to catch up to clay's ability to cleanse and detox the skin. Imbalances in electrolytes and minerals in the body's soft tissues lengthened the amount of time it would take and hindered the clay's ability to restore healthy, vibrant skin. So what changed? We slowly began to learn how to actually utilize structured clay's ion pump capacity to deliver the needed minerals directly into the skin, while at the same time utilizing this same reation to cleanse the skin. The secret lies in understanding the difference between amorphous clays and highly structured clays; the difference between evolutionary vol clays and sedimentary clays... and understanding how to combine the right clays with the right waters. 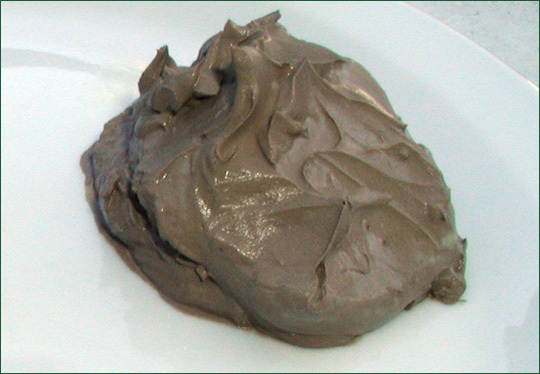 When you purchase a gallon container of our external use clay blend, you get 6.5 pounds of dry powedered clay... and, a small instructional guide that will show you how to create the most complex, natural, sacred colloid for skin use ever developed. We'll even show you how to make water that would cost you hundreds of dollars to make without our guide. And can this clay be used on tough skin problems as well (just like our bulk green clay). Absolutely! Whether you are interested in daily clay therapy or just the occasional spa-grade facial, our three clay melange is the ultimate choice. Not only is this blend far superior to any of the clays used seperately, the cost is far reduced compared to trying to source and purchase such clays on their own. Green Calcium Montmorillonite - Our desert calcium bentonite is one of the most celebrated clays in natural medicine. It is an extremely clean volcanic-origin clay rich in active, ionic trace minerals. It is extremely alkaline, with university tested and time-proven antimicrobial properties. Red Desert Calcium Bentonite Clay - One of the most studied clays in modern times, our extremely clean and active "red" calcium bentonite is a clay that has been scientifically proven to deliver important trace minerals deep into the body. It has long been used as an internal detoxifying agent and as an effective trace mineral supplement-- by both humans and animals. A Very Rare Earth-tone Pyrophyllite - Our amorphous clay of choice, rich in both energetic charge (once hydrated) and trace minerals, this clay has long been a favorite among the more metaphysically enclined.